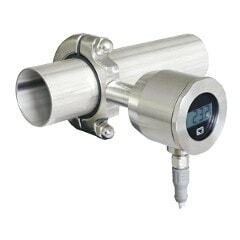 PCS can supply a wide range of temperature sensors and transmitters including custom-built assemblies to suit your application. In addition to the Pt100 and K-type thermocouples here, we can also supply virtually any other thermocouple type. Feel free to contact us on 03 9720 4522 or sales@practicalcontrol.com.au to discuss your specific needs. 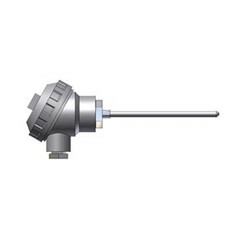 The GTL737 is a combination Pt100 sensor transmitter assembly designed to clamp on to pipes. With no media contact it is ideal for hygienic applications in the food, beverage & pharmaceutical industries. It can easily be removed & replaced with no disruption to the process. The sensor tip is constructed from 935 silver to optimise heat transfer & will often give a faster response than temperature sensors in direct contact with the media. disruption to the process. The sensor tip is constructed from 935 silver to optimise heat transfer & will often give a faster response than temperature sensors in direct contact with the media. 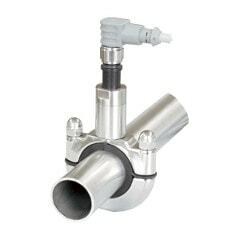 Three wire Pt100 RTDs with stainless steel sheath, class A sensor, small aluminium terminal head & ceramic terminal block. Other lengths are available. Sheath diameter 6mm. Type K thermocouples with stainless steel sheath, small aluminium terminal head & ceramic terminal block.